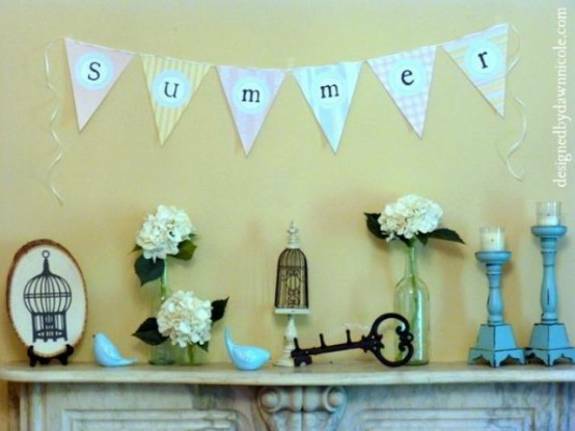 Summer decorating is about celebrating the elegant simplicity, relaxing ideas and beautiful flowers. 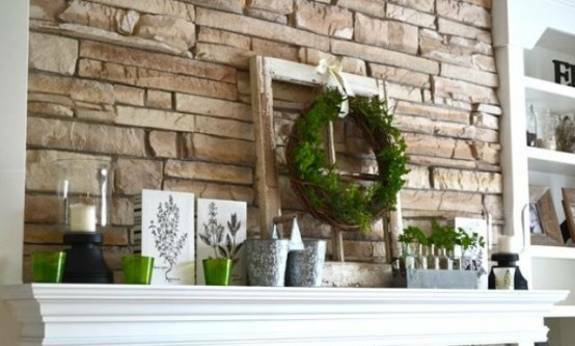 Summer decorating with flowers and light room colors creates spectacular fireplace mantels and brings a natural feel into rooms. 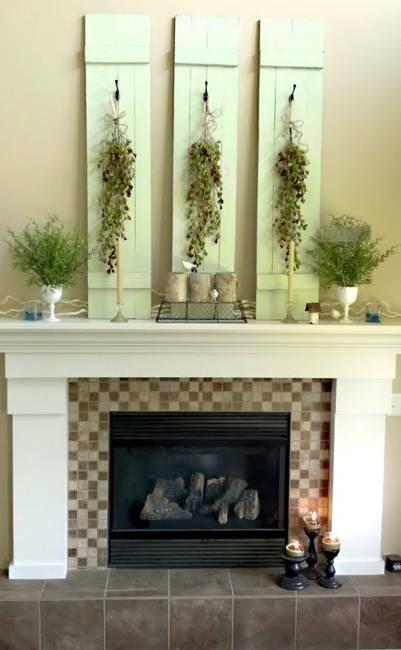 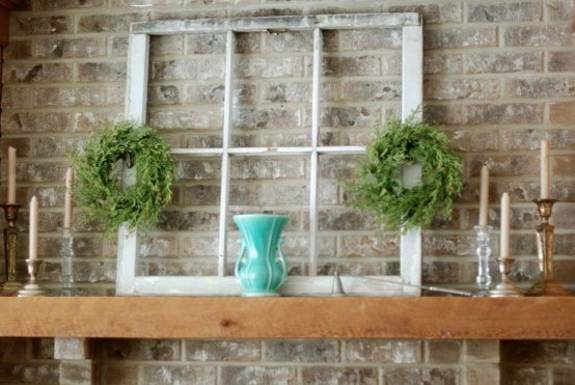 Decor4all shares some simple, creative and cool summer decorating ideas for fireplace mantels that beautify room decor with plants and flowers. 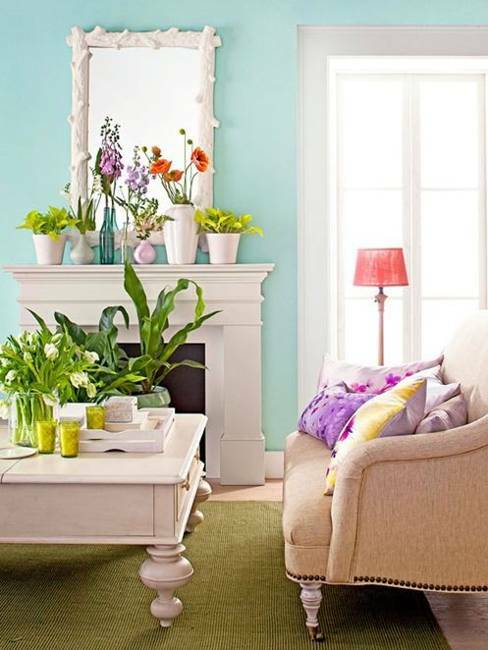 Decorating with flowers and plants is a nice way to connect to the nature and enjoy the summer. 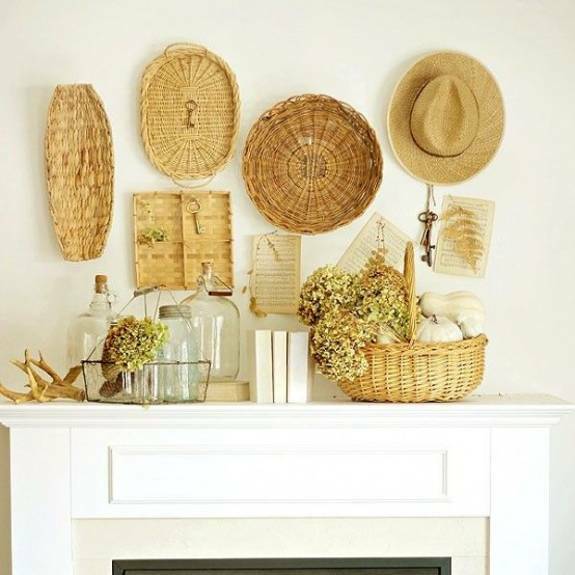 Beach cottage decor ideas, sea shells and driftwood look fabulous for summer decorating, but beautiful flowers offer versatile and universally appealing arrangements for fireplace mantels that suit any room, interior decorating style and color scheme. 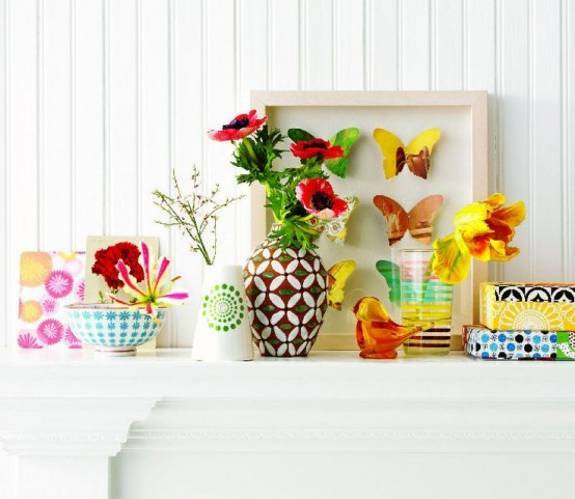 Plants and flowers, picture frames, fruits and decorative candles look spectacular on fireplace mantels. 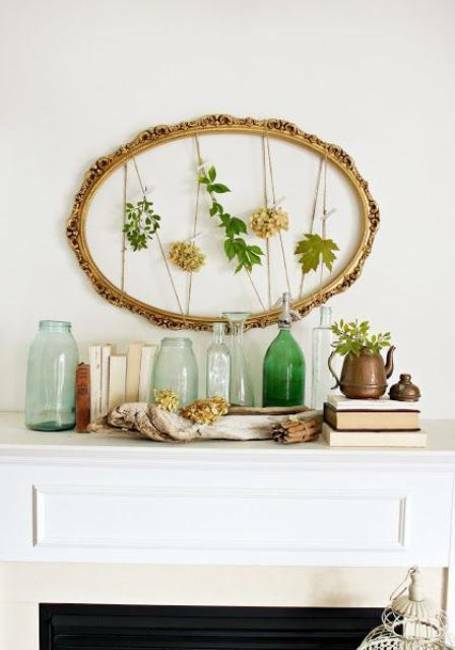 Moss and green grass, small branches and beautiful flowers are ideal summer decorating ideas that blend chic simplicity and natural charm into room decor. 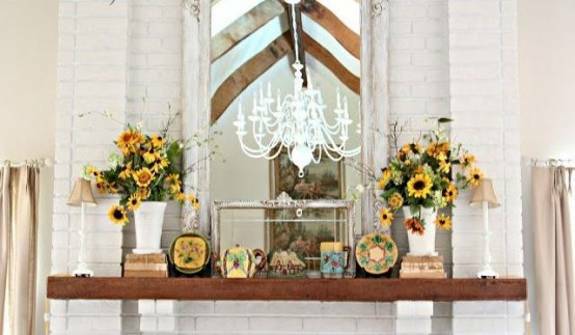 Fireplace mantels with flower arrangements look classic, attractive and elegant. 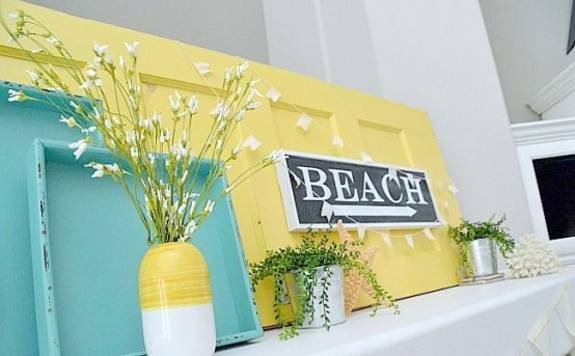 Summer decorating with flowers and small home accents call for original room decor ideas, cool and light room colors and surprising details. 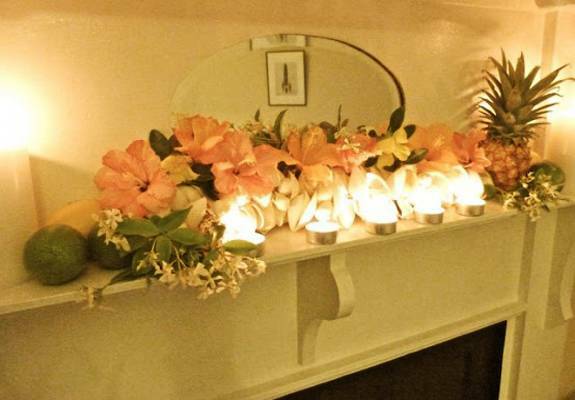 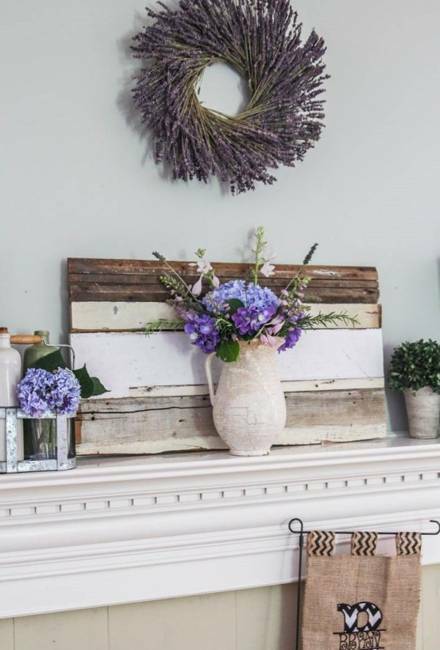 Summer decorating with flowers and summer flower arrangements enhance room decor by giving a fragrant, light and pleasant touch to fireplace mantels, creating a feeling that something wonderful is going to happen. 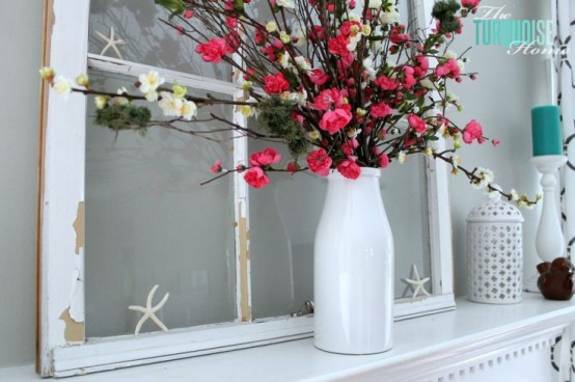 Beautiful flowers and airy summer decorating ideas create these very special feelings, improve mood and transform interior decorating. 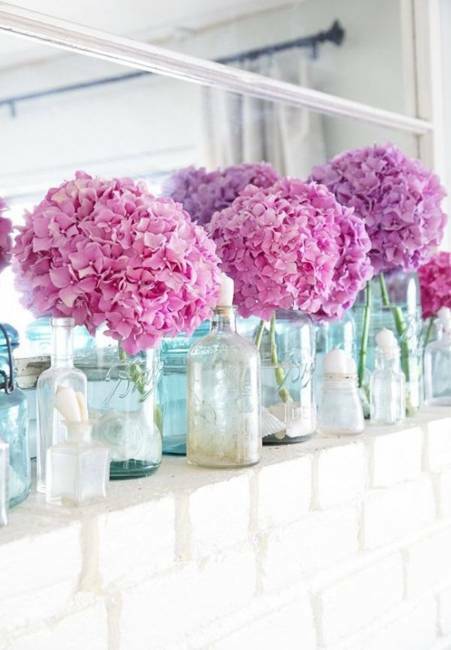 with breezy, colorful and pleasant atmosphere. 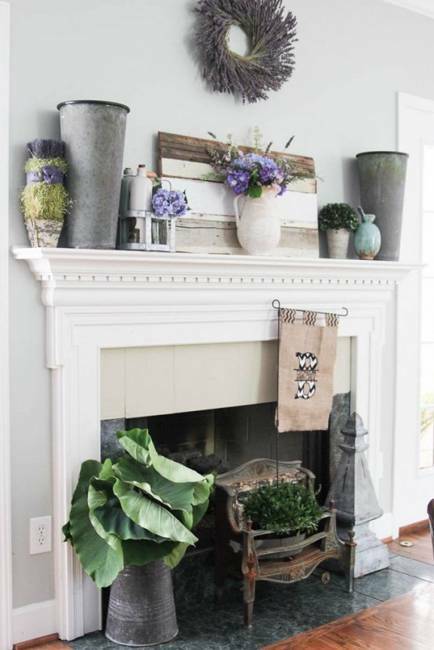 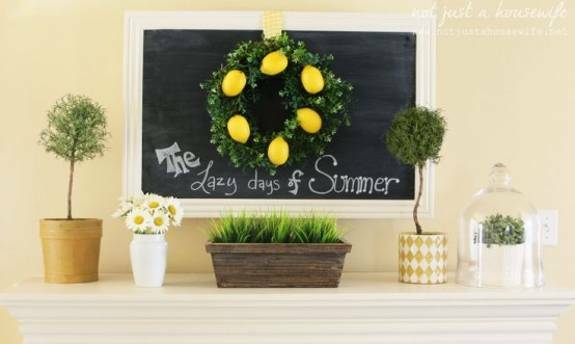 Plant and flowers are ideal summer decorating ideas for fireplace mantels, wall shelves and window sills. 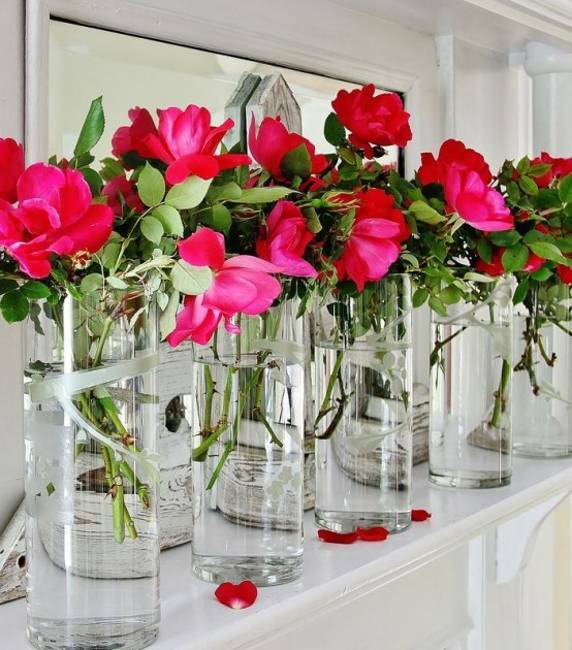 Creative flower arrangements look romantic and add sentimental values to summer decorating. 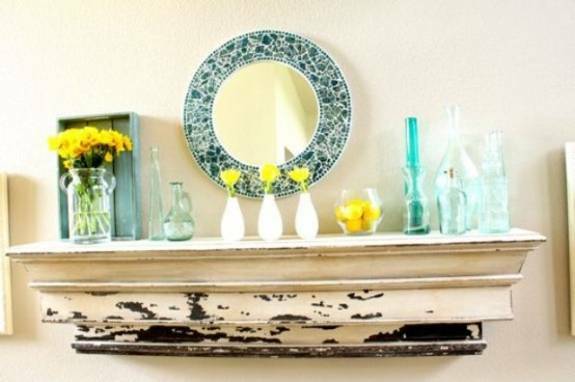 Even ordinary fireplace mantels in locations with poor light get an instant splash of color and fresh feel. 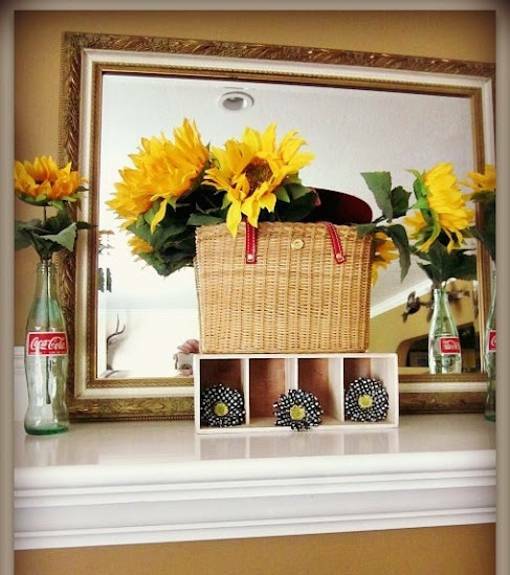 Recycling what you have at home saves money on summer decorating and allow to declutter your home in elegant and artistic style. 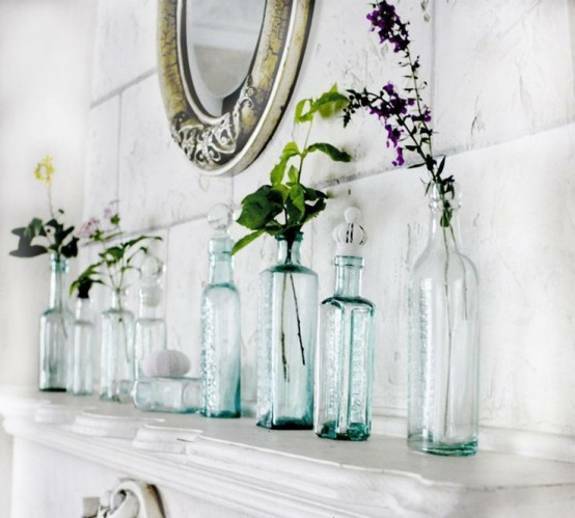 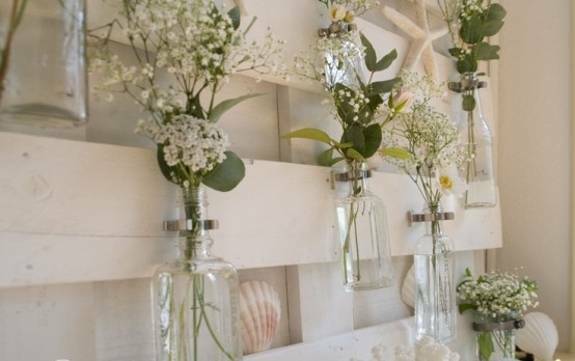 Vintage decor accessories, glass bottles, vases, bowls and glass jars can be attractively mixed with plants and flowers. 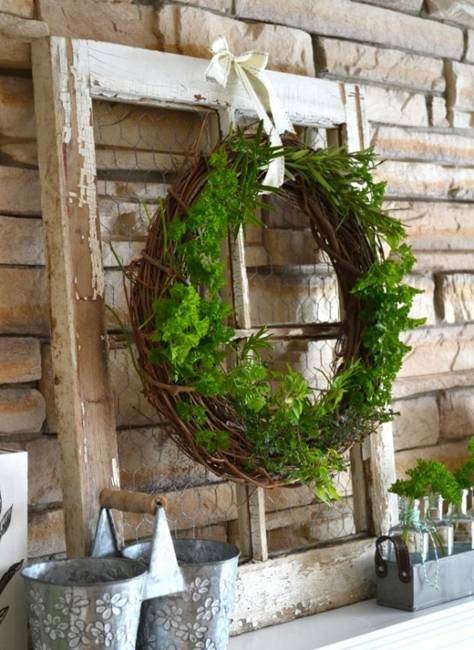 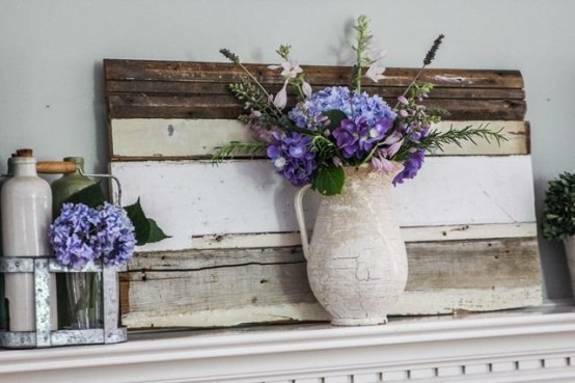 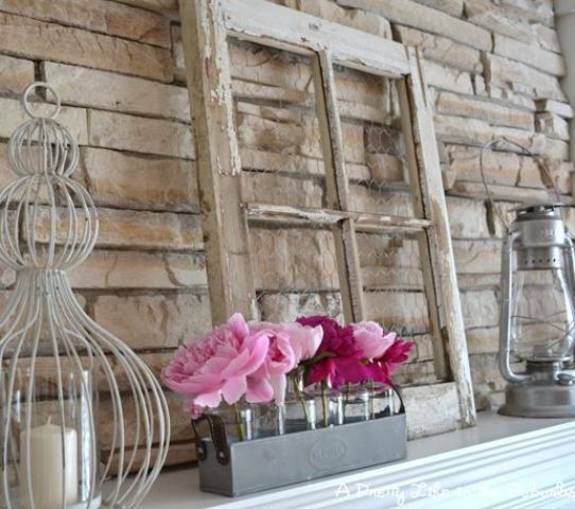 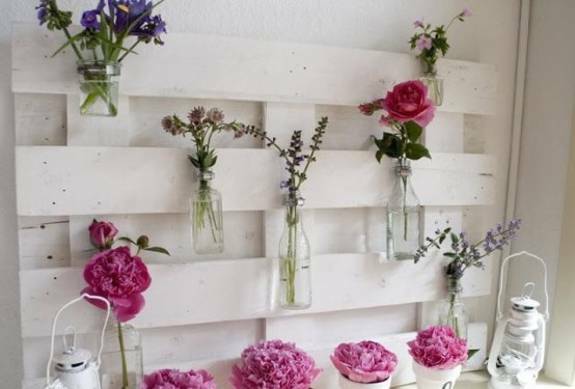 Recycling salvaged wood pieces brings fabulous aged wood colors and textures into rooms and enhance summer decorating by creating spectacular displays with beautiful flowers.